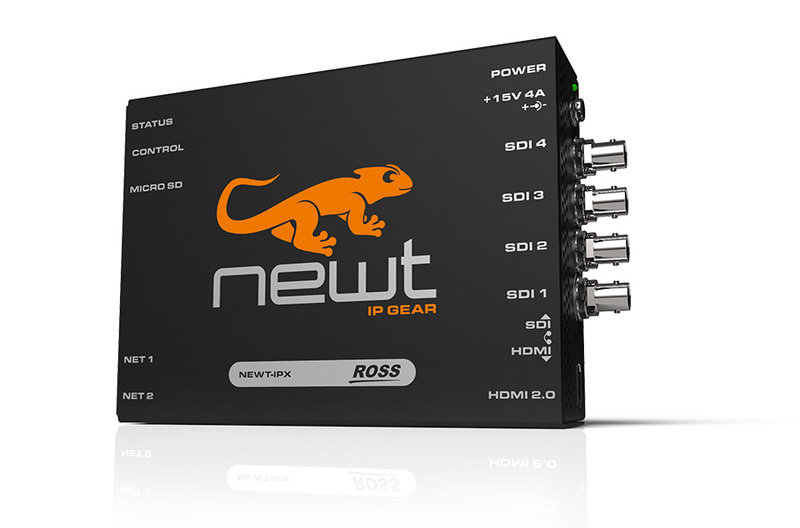 Ross Video unveiled Newt today during the NAB Show New York, an AIMS-compliant point-of-use IP signal converter. “As the broadcast industry migrates to IP, the need to convert signals into and out of the edges of the IP production network becomes paramount. Even as broadcast and production workflows transition to support native IP interfaces, monitors are still using some form of baseband input, and there is a need to convert baseband cameras to IP,” said Nestor Amaya of Ross Video. Newt is a UHD-over-IP to SDI/HDMI-2.0 converter that can adapt to rapidly changing IP environments. “Newt addresses this challenge by providing a point-of-use throwdown box that lets users monitor their signal chain using current displays, and to convert SDI outputs from cameras to IP,” added Amaya. Newt is housed in a 5” by 6” enclosure for both in studio and outside production.